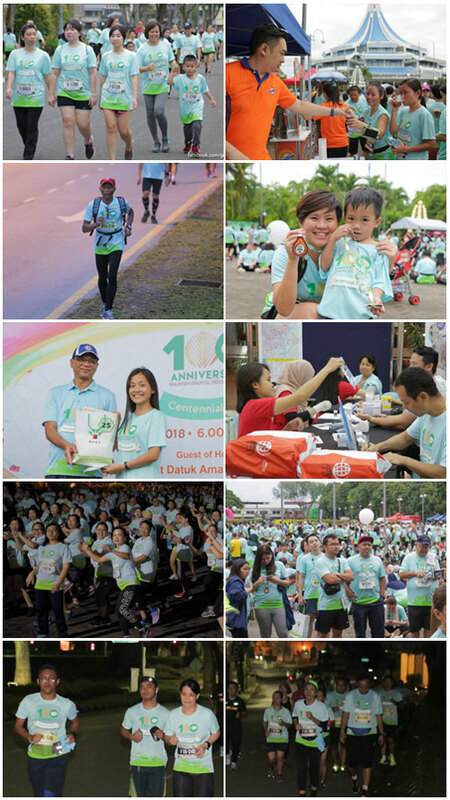 Kuching, 28 January 2018 – In conjunction with the 100th anniversary of Malaysian palm oil industry, Ministry of Plantation Industries and Commodities (MPIC), Malaysia and Malaysian Palm Oil Council (MPOC) organised The Centennial Run with participation of the general public from Kuching city, Sarawak. 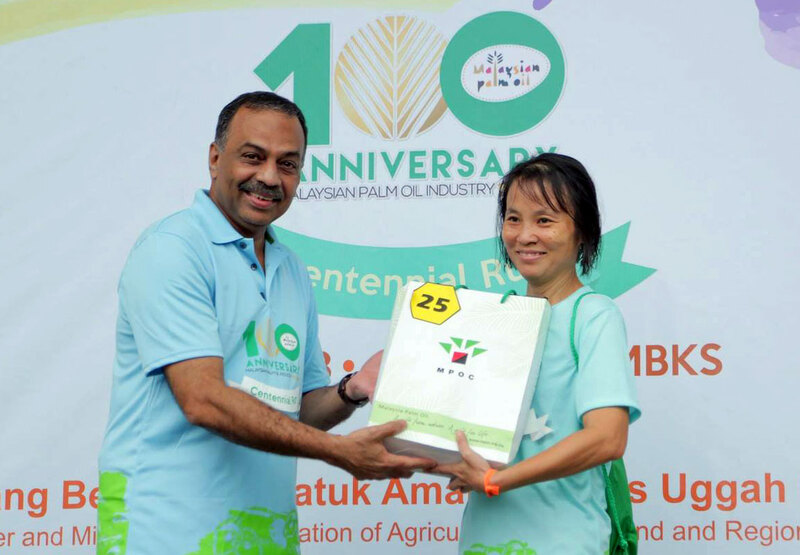 The run was organised to celebrate 100 years of commercial oil palm cultivation, and to celebrate the many contributions of Malaysian palm oil towards development of the nation’s economy. It is also part of MPOC’s effort in creating greater awareness on the health and nutritional attributes of Malaysian palm oil to consumers nationwide. The event was supported by various palm oil industry partners, namely Sarawak Land Consolidation and Rehabilitation Authority (SALCRA), Solid Oil Palm Plantations Sdn Bhd, Sarawak Oil Palms Berhad (SOPB), Hovid Berhad and TH Plantations Berhad. The guest of honour for the event, Yang Berhormat Datuk Amar Douglas Uggah Embas, Deputy Chief Minister and Minister of Modernisation of Agriculture, Native Land and Regional Development, Sarawak flagged off the runners at Majlis Bandaraya Kuching Selatan. 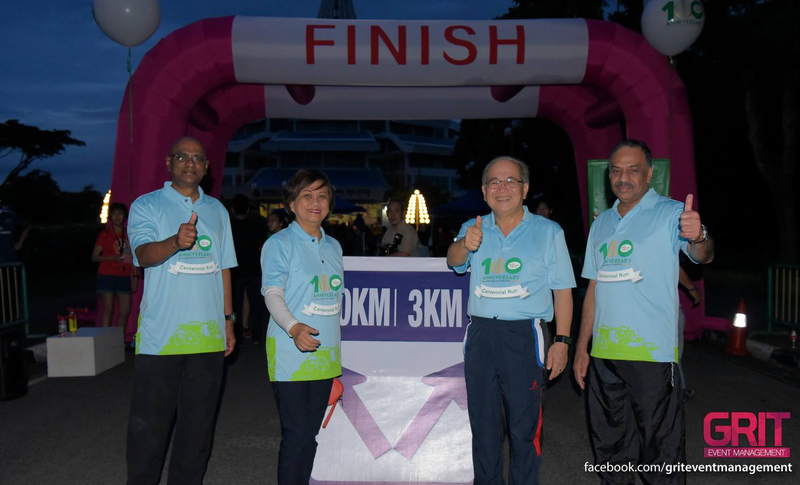 The 10km runners were flagged off at 6.00am by Datuk Amar accompanied by Secretary General MPIC, Datuk K. Yogeesvaran and CEO, MPOC, Dr. Kalyana Sundram while the 3km fun run participants enjoyed a half an hour zumba session before heading off to the starting point to be flagged off at about 6.30am. Upon completion of their run, all participants received an exclusive "Centennial Run" medal designed in the form of a cross section of an oil palm fruit with a revolving kernel which encompasses the 100 years anniversary logo. Other goodies given away upon completion of the run were isotonic drinks, sweets, fruits, pastries and muffins made with palm oil goodness. Other side events organised with the run were consumer based exhibition of products from the Malaysian palm oil industry. These were hosted by MPOC, Malaysian Palm Oil Certification Council (MPOCC) and SOPB, healthy lifestyle cooking demonstration with Malaysian palm oil by Chef Kasdi of Serapi Garden, lucky draws and Instagram hashtag contest. Top 30 winners from both competitive run categories won prizes in the form of cash and palm-based product hampers consisting of healthy cereals, energy drinks, peanut butter spread, "Nutella" hazelnut chocolate spread, chocolates, skin care products and cosmetics to show the wide applications of palm oil in our daily-use. Thirty lucky draw winner received palm-based products hampers and other sports equipments including the grand prize of a "Garmin vivoactiv 3" sports watch, while winners of the Instagram hashtag contest, each won a box of Ferrero Rocher chocolates.